Now that 2019 is here and we’ve got most of the year left to look forward to, right now is a really good time to make sure your financial house is in order. The American Institute of Certified Public Accountants just issued several tips for those who are aiming to reach their financial goals, so we’d like to pass a few of those along to you. Update your Form W-4 for withholding. Remember, the IRS substantially revised the withholding tables for 2018, meaning that you might have had less withheld from your paychecks last year. While that might sound great, you could wind up owing that money when you file your taxes in April. So you may want to readjust your withholding to match what you’ll owe. It’s a good time to make an early calculation of how much you could pay in taxes for 2019. If nothing much will change from 2018, it shouldn’t be too difficult to do. 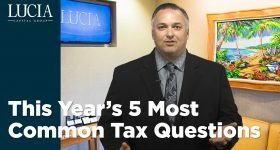 By figuring out now what you might have to pay for the 2019 tax year, you may be able to take better advantage of new tax brackets by changing your charitable giving strategy or adjusting your retirement plan contributions. 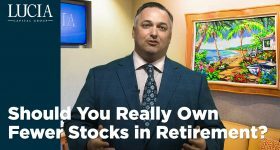 Consider putting away some additional money for retirement. 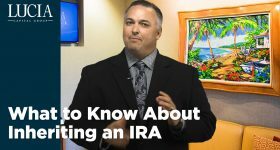 For 2019, you’re allowed to contribute an additional $500 total to both IRAs and 401(k) plans. And even if you’re not maxing those out, you should still look at what you’re contributing. Let’s say you got a 4% raise in salary this year. If you increase your contribution rate by 2%, your net paycheck and savings will both be higher. Not bad! Revisit your current asset allocation. We saw a lot of volatility at the end of 2018, which could mean that your asset classes have drifted out of balance. Diversification is a really important tool for managing portfolio risk, so check to see if any rebalancing is necessary. If you’re at an age where you need to take required minimum distributions (RMDs), right now could be a great time to take them. 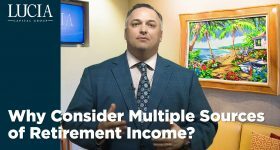 By doing your RMDs now, any growth you might see this year on those assets will happen in your personal account, where long-term capital gains taxes are lower. And if those assets go down in value this year, you can sell the asset and potentially use the capital loss against other income. These are just a few of the many actions you might consider taking here in the early part of 2019. At Lucia Capital Group, we deal with these situations every single day. Just give us a call; we’re here to help.